Keegan Maxwell, MD practices as a Urologist in Sartell, MN.He graduated from University of Washington and has been practicing since 2006. 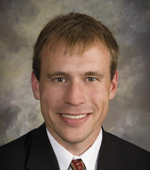 Services Keegan Maxwell, MD provides urology services in Sartell, MN. A Urologist is trained to diagnose, treat and manage diseases of the urinary tract and male reproductive system, including prostatitis, kidney stones and urinary tract infections. I was very satisfied with my visit. They were helpful and I left feeling encouraged. The office was easy enough to find. I'll definitely be going back. I didn't have a bad experience. Dr Maxwell is known in Spokane, Wa as one of the best Urologists in the country. We are surely disadvantaged since his departure. We were very impressed by the care given by Dr. Maxwell. He was easy to talk to, very knowledgeable, and he obviously cared. I wish all physicians had these qualities.